Nifty opened flat to positive, but saw the seller taking control with all up-move beings sold with huge intensity to close near the lows of the day at 6018.05, a huge loss of 60.75 points. The broader market was also weak, with 461 advances to 897 declines. Best support still at 6000 level with OI above 53.07 lacs. Call option 6000-6400 added 37.08 lacs huge amount of OI with profit booking seen at 6500 and above strike prices. 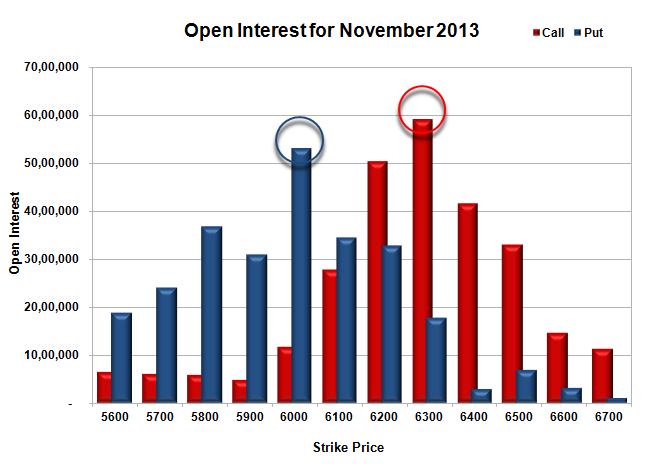 Put option 6000-5800 added 20.42 lacs huge amount of OI with short covering seen at 6100 and above strike prices. 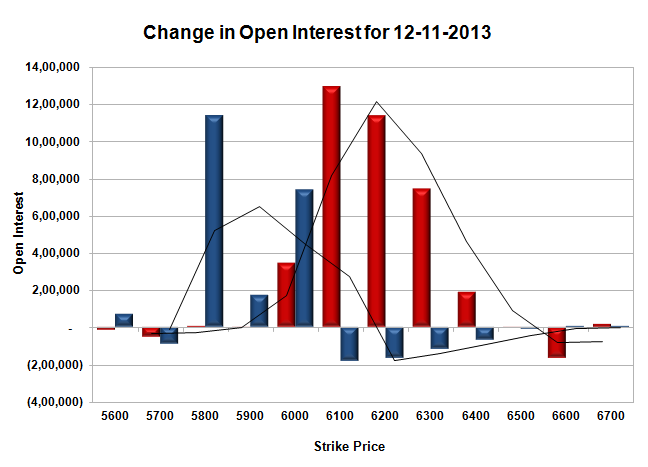 Nifty Open Interest is at 1,95,52,900 down by 32,550, with decrease in price, most probably long liquidation. 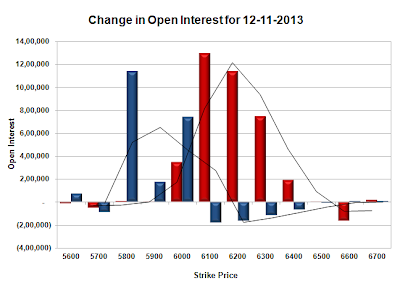 Bank Nifty Open Interest is at 17,24,875 up by 1,19,500, with decrease in price, most probably huge short build-up. FII’s sold huge 11.55 lacs Futures, mostly short build-up, as their net OI increased by 17507 contracts (includes 58911 longs and 82016 shorts for the day) and the average price per contract comes to around 5988.99. FII’s future open contract as on date is 488724. 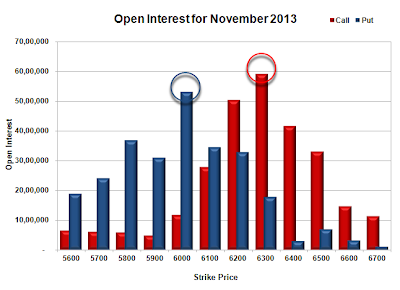 PCR Open Interest (Volume) is precariously placed at 1.033. Best support at 6000, with huge OI of 53.07 lacs. Initial resistance at 6100, with huge addition for the day at 12.95 lacs and above that at 6200, with OI of 50.38 lacs. 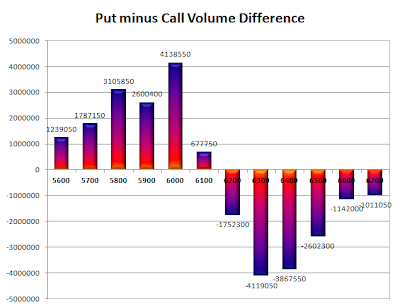 Day Range as per Option Table is 5983 - 6098 and as per VIX is 5952 - 6084 with 6046 as the Pivot.